An ACC assistant coach, mentored by a Hall of Famer, from an up-tempo program. That formula worked for UNCW last time, so the Seahawks stuck with it. For all the similarities between departed UNCW head coach Kevin Keatts and the recently hired C.B. 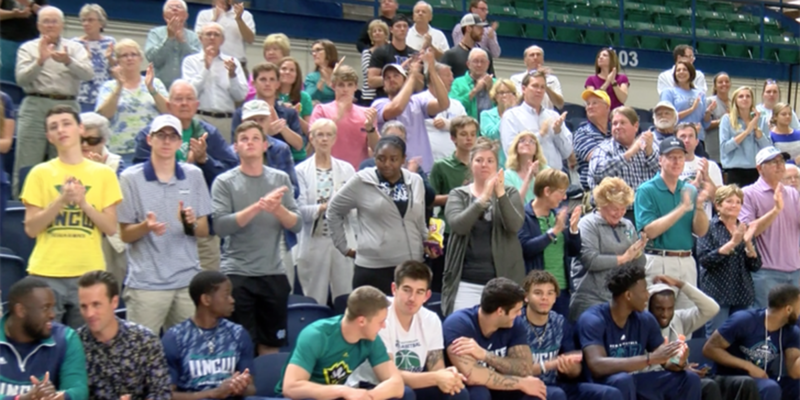 McGrath, fans hope they also see another similarity on the court in Trask Coliseum - winning. "I think he'll be a great asset here," said Jamie Richter, a UNCW alum. "I think the team may take a little while to get adjusted to his way, but I think we're on our way up even more." McGrath played at Kansas, then spent 18 years as an assistant to Roy Williams, the past 14 of those at North Carolina in Chapel Hill, where he earned three national championships. "The lessons he's learned from coach Williams, the years he's played under him, the years he's coached under him...bringing in that amount of experience is going to be a great boon for the school," said Colby Sawyer, a UNCW student. There was some anxiousness from fans heading into this hire. Mid-majors do not just get to the level the Seahawks have achieved overnight. Falling into irrelevance is easy. McGrath's history and style have eased those tensions, for now. "I was so excited, because I was kind of upset when we lost Kevin Keatts," said Bailey Gray, a UNCW student. "I was like 'Oh no, what are we gonna do?' But then when I heard that C.B. McGrath was going to be our new head coach, I got really excited because I know about the program there and how well he does." Whether McGrath can continue the success built by Keatts is up in the air. The recruiting season will be vital for the Seahawks, as four of their five recruits have decommitted in the past two weeks. In the players' minds, they may have a new coach, but the goals remain the same. "We still the team. We still here. Last year we won the championship, this team right here," guard Jordan Talley said. "Same mentality, and we going to win another championship." 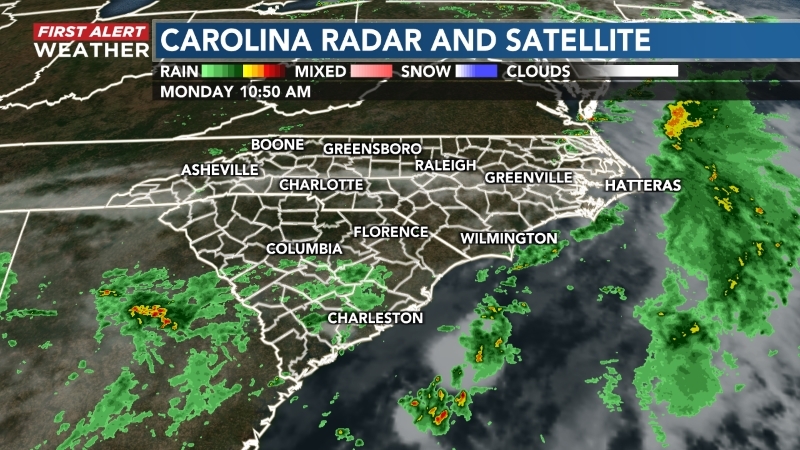 Copyright 2017 WECT News. All rights reserved.